Remember I'd told you guys about my one-page column in the magazine Know Your Town? 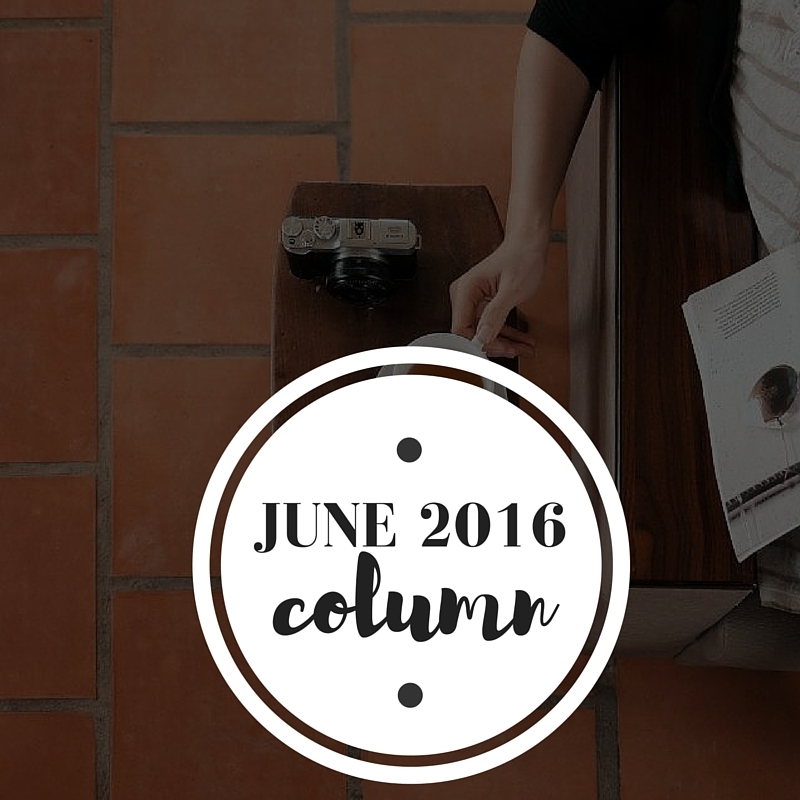 I'm gonna share here my columns from previous months. This is my first ever column and I'm definitely proud. I came to know about this through a friend. I thought that since I know so much about this particular city, there was no harm in grabbing the opportunity. 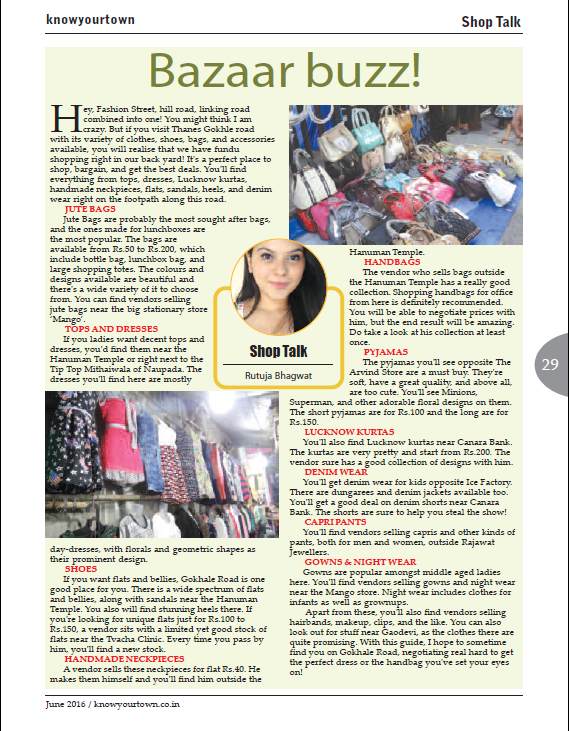 I write on 'shopping', and my column is titled 'Shop Talk'. I write about where you can get good stuff in Thane city. I'm sharing my June month's column, where I've written an article on street shopping. For July, I have written an article on 'Monsoon Makeover', where I've mentioned those places where you would find good umbrellas or waterproof makeup or waterproof watches. All you Thanekars, go and grab a copy of your own!